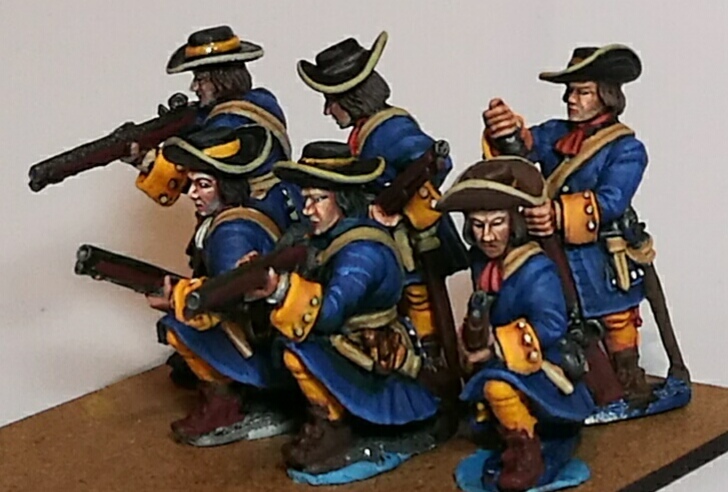 A work in progress image of the guards inspired by my visit to Oldbridge. It will be a 24man battalion when done. Figures are all Front Rank miniatures. Wow! These look great. They look like 54mm figures. What a splendid uniform...and paint brush! Great figures- beautiful brush work!